We've always said that above all else, we are loyal to our patients. This focus has lead us to be drawn towards the most innovative and aggressive technology in the world of Optometry. For this reason, we are pleased to announce one of the most progressive contact lenses for our patients with presbyopia; the PureVision 2 Multi-Focal contact lens from Bausch and Lomb for presbyopia. We don't do a lot of business with B & L, but this lens is far superior than any other bifocal lens on the market. The predictability and ease of the lens separates this from its competition. The video above gives more information pertaining to the science behind the lens, but we've been using it for 3 months now and it's already one of our best selling bifocal lens. 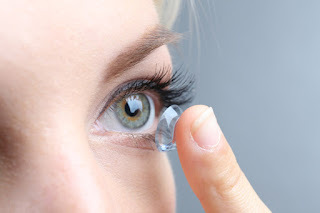 If you are interested in trying this lens out, please contact the office at 909.861.3737 to have our staff schedule an appointment with Dr. Bladh for a free trial pair of these amazing contacts.